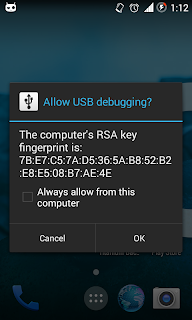 My Android device kept asking me for authorization every time I would plug it into a certain computer. I knew it wasn't the device, because it worked fine with other computers. That's it! The next time I connected to that computer, it asked me for authorization (since I had a new key), but it hasn't asked me since.